Have you ever had to endure an episode of the X-Factor due to demands of your friends/family/significant other? When watching it, did you ever thing “Boy, this show would sure be better if the contestants were mechanics showing off their spaceship-building skills?” If you did, you boredom-induced day-dream is about to come true, in a fashion. Chris Roberts and the Star Citizen crew are looking to throw $30,000 in the direction of a team of modders who can make the best new starship for the game, in a new talent show aptly named The Next Great Starship. Modding teams containing up to three people will be tasked in creating a new spaceship for Star Citizen, which will be a fully-playable ship in the final game. As with ITV-broadcasted talent shows though, contestants will have to jump through some hoops first, with the preliminary task being to create a wave particle cannon. A panel of judges will narrow these entries down to 16 contestants, and it will be these 16 that will appear as part of the YouTube-broadcast show, on the Roberts Space Industries channel. 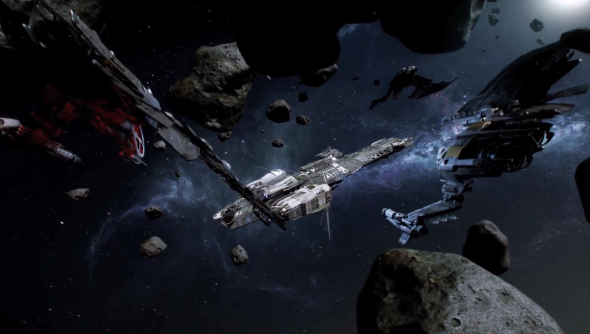 “Those initial entries will be narrowed down to a final 16 and one of the 16 will be voted on by Star Citizen backers. Then those 16 teams will embark on making their Starship entries.” explains thecompetition’swebsite. “Beginning January 31, 2014, episodes of The Next Great Starship will air once a week on the Roberts Space Industries™ (RSI) YouTube channel with each team providing a work in progress update to the judging panel. The content will result in a first, second and third place prize, with the grand winners taking away $30,000 in prize money as scooped together by sponsors Alienware, AMD, Autodesk, Crytek, Cologne Game Lab, Wacon and YouTube. Winners will also take away a selection of goodies including Alienware systems, Autodesk software, Maya software and Radeon R9290X graphics cards. Signups start at the end of the month on October 31st, and conclude December 31st. You can register for the competition atThe Next Great Starship website.